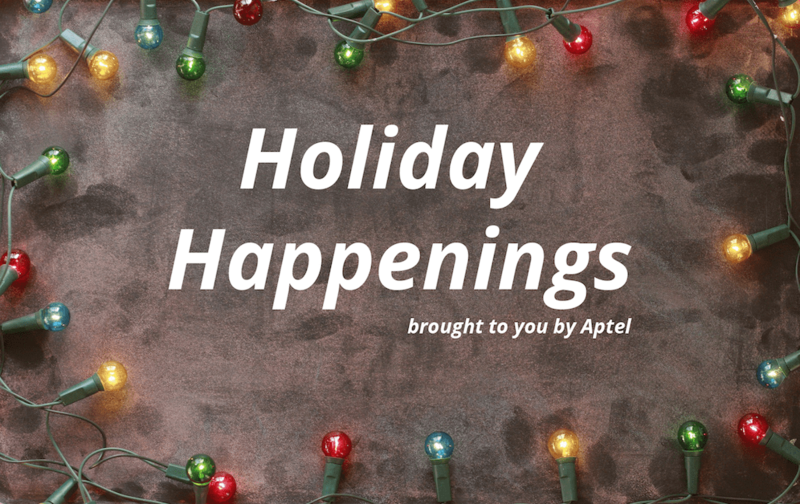 When planning an extended stay in Anchorage, Alaska, this holiday season, consider the accommodations at Aptel Studio Hotel. Designed to be your home away from home, Aptel rooms include Wi-Fi, queen size beds, a dining table, standing refrigerator, and kitchenette. Perfect for cooking family meals. Whether you are looking to get outdoors or stay warm inside, Anchorage has a full calendar of events for you and your family. Aptel has a unique location in the city that makes it accessible to downtown Anchorage and a variety of shopping centers. It is an easy ride to many events happening around town during the holidays. A variety of free, family events are available in the month of December to help visitors get into the holiday spirit. While you’re downtown, take a sleigh ride in a horse drawn carriage and experience the winter beauty of Anchorage that can be seen no other way. Round out your gift list with a visit to Christmas Village at the Dena’ina Convention Center. With over 100 local vendors, you’ll be sure to find the perfect gift. Free admission and photo opportunities with Santa and his elves make this the perfect outing for the family. Take things outside and enjoy Zoo Lights at the Alaska Zoo, which is bound to add a twinkle to those dark Alaska evenings. Adults and children alike will enjoy seeing the animals at night with the zoo lit up in a festive holiday display. Also featuring a light display for visitors, Alaska Botanical Garden is bringing some twinkle to the winter landscape and offering hot chocolate and cider, bonfires, and ice formations to those who wish to stroll through their frosted gardens.